The door striker is commonly forgotten when doing custom accents. 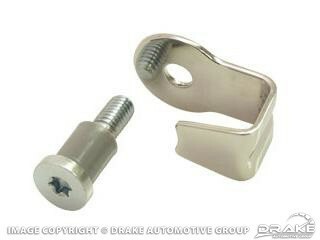 We now offer a beautifully polished stainless steel striker bracket and a new striker bolt with nylon bushing to dress up the door jam. Our stainless will look great for years.